The World Cup regulations and the results format for the coming season have been approved by IFSS Council, the updated documents are now posted on IFSS website. IFSS Council and I are pleased to announce that Nybro Sleddog Club in Sweden will organize the IFSS Dryland World Championship 2019. Place: Svartbäcksmåla, Nybro – same location where the IFSS Dryland European Championship 2018 took place. Nybro Sleddog Club will shortly post information on their official event page and there will also be a Facebook page with the latest information. You can also follow the event via Instagram. 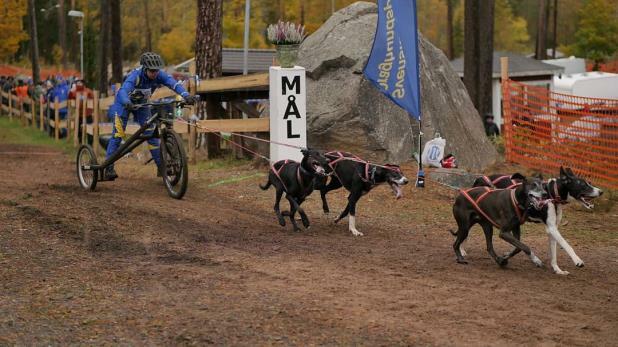 Nybro Sleddog Club organized a very successful event last year and they are now ready to do even better. The race organization has multiple years of experience. IFSS Council feels very secure that the 2019 Dryland World Championship will be a great event. Here are the official results for the IFSS World Championships On-Snow 2019 in Bessans, France. Here are the final figures concerning entries in IFSS World Championships On-Snow 2019 in Bessans, France.